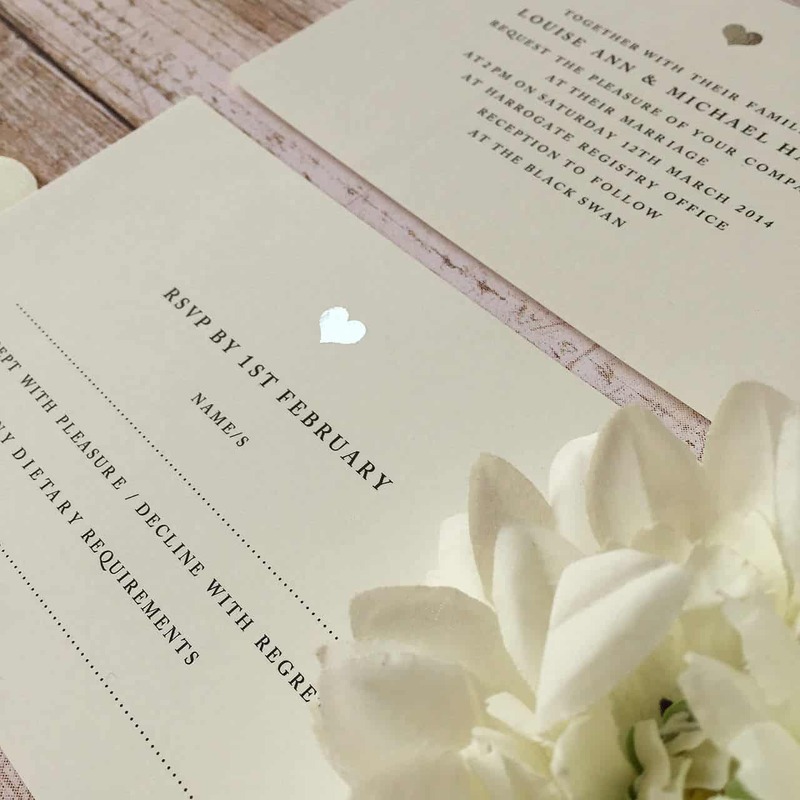 Our Exclusive Range of Wedding Stationery has gold or silver foil added by hand to produce a sheer touch of class to your invitations and wedding stationery. 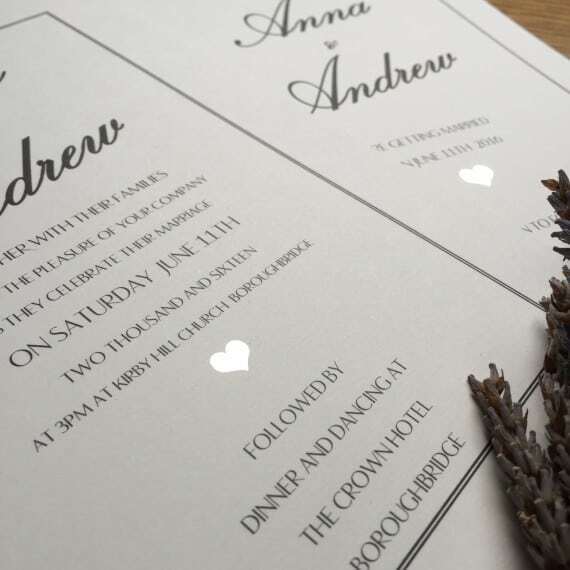 Set the theme of your wedding from the offset with this timeless, unique, enhanced service and choose from a range of our carefully selected designs. 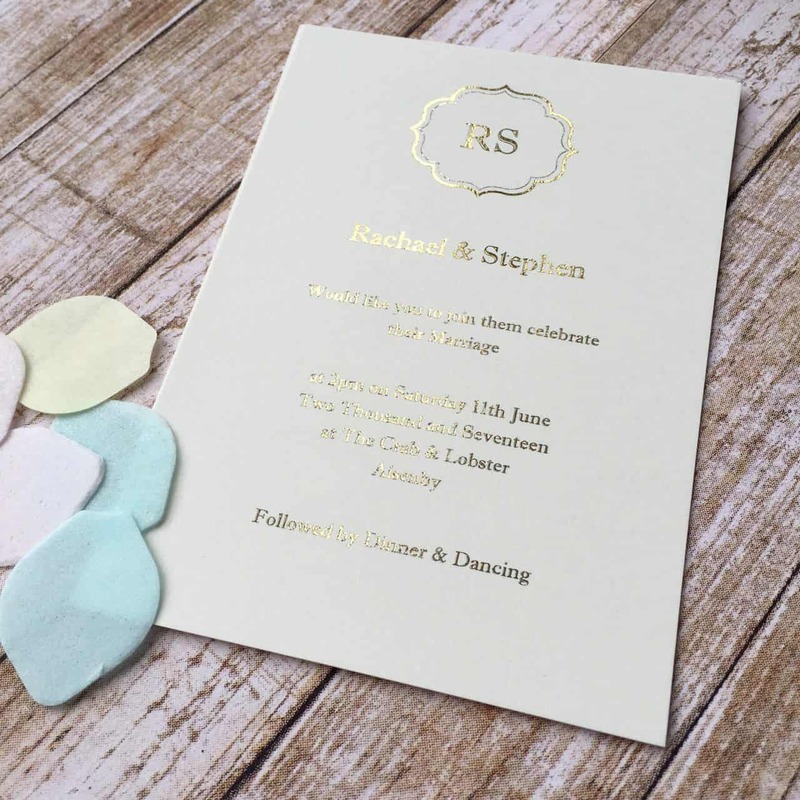 Your wedding stationery will then be printed onto high quality (350 gsm) A6, A5 or square card with quality envelopes to match. 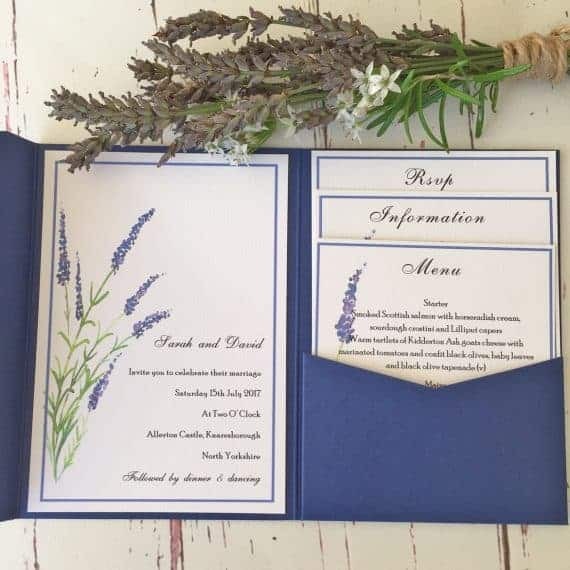 Once you purchase the booking deposit and your order has been placed we will send you a form to fill in your personal details, design choices and wording requirements. We offer a personal service and will work with you to achieve your prefect invitations. We can help with wording and provide samples of the card and foiling if required.